It’s kind of funny if you think about it; a few years ago, a fighting game staring the cast of various Final Fantasy titles would have been something I would have avoided at all costs, and a prequel to such a game would have equally as avoided. Yet here I am, and Dissidia 012 was the PSP title I was looking forward to the most in 2011. Sure, that isn’t exactly a tough feat, but it is true nonetheless. There was a lot of worry that this game would end up being a Dissidia 1.5; basically, that it would be the same game with a couple of new characters. We gamers get enough of that kind thing with wrestling games, sports titles, and shooters. Come to think of it, we get a lot of that with fighters as well. The hope was that 012 would greatly improve upon its predecessors and become something truly great. Well, I’ve got good news and bad news. The bad news is that the game is pretty much Dissidia 1.5, so the worries were justified. However, perhaps in this one case, that kind of thing is acceptable. “How can that be?”Â, you ask? The plot here starts out pretty much the same as in the previous game. Chaos and Cosmos are in the middle of a war, heroes and villains have been summoned to do the grunt work, there are crystals, etc. The difference here is that there are a whole bunch of new characters to play as. There are a total of nine new playable guys and gals, but the main stars are Lightning (FFXII), Kain (FFIV), and Laguna (FFVIII). Sure there are others, but these guys are the most important. On top of the new blood, several of the other characters are on the wrong side! Tidus, Cloud, and Terra are all sided with Chaos, while Jecht serves Cosmos. If you’re getting annoyed and thinking that this is spoiling the game for you, then you clearly haven’t looked at the box for the game, as it gives all of that away pretty handily. Anyways, the story has pretty much the same problems the last game did, which are pretty much the same problems that every Tetsuya Nomura game has. Characters talk a lot, but don’t really say anything. Confused? Go play any Kingdom Hearts game. Take out all of the nonsense about friendship and light versus darkness, and you could probably shave off several hours of the game’s length. The sad thing here is that several of these themes are repeated; Cecil struggles with the darkness in him, Vaan believes you can do anything if you have friends, etc. It all felt familiar and never did anything for me. The one thing the game does well is it gets all of these characters together and gives them some amusing moments. 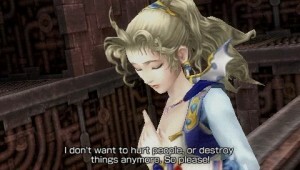 For example, Yuna calls for Jecht by whistling, as if he were her pet dog. Also, Laguna stops in the middle of a battle to stare at Cloud of Darkness’s breasts. It can be so bad, that it’s funny. Thankfully, the story isn’t the only thing the game has up its sleeve, as there are a ton of modes to fiddle around with. You can play through Arcade Mode, where you use preset characters and go through enemies like you would in any fighter. You can also fight in party battles with a team of up to five warriors of your choosing. In the Labyrinth, you fight enemies to earn medals which are used to open chests and earn bonuses. It also serves as a survival mode in that you lose all rewards if you die. It is very similar to the duel arena from the last game, but the addition of a dungeon-like map and the ability to form a party really shake things up. There are plenty of things to do outside of battling as well. You can visit one of two shops; the first allows you to buy equipment for your characters, as well as trade in items you collect during battles, while the second shop allows you to spend PP to buy new characters, stages, music, icons, various boosts and even an extra mode or two. Also, you can once again record and edit videos of your fights, which you can then convert to AVI files and upload online. New this time around is a create-a-quest mode, where you set up battles, type in some text, and set up special win conditions and the like. This is very similar to the story creation modes found in recent WWE games, but without the animation. Still, it’s pretty cool, and you have the ability to share you creations with friends. On top of all that, you have a museum mode where you can read character bios, listen to over one hundred music tracks, view icons, and so on. The story itself may be kind of lame, but the sheer amount of stuff to do in this game ensures you’ll never run of things to mess around with. And, even if the plot stinks, the story mode is still fun to play through. If you really get annoyed, you can just skip the cutscenes anyway. Of all the aspects of the game, the graphics are easily the least improved. However, when these graphics are still on the relative high end for PSP games, that isn’t anything to worry about. The stars of the show are once again the character models. Each of these characters is remarkably faithful to their original designs, and they look nice and animate well. Kefka is by far the best of the bunch, with wacky animations that exude the correct amount of craziness and a very strong attention to detail. He’s also got the best facial animations. In fact, the only downside of the models are some of the faces. They appear to be pasted on to faceless dolls, causing an eerie effect when you watch scenes play out. Still, they’re otherwise as good as almost any other game on the PSP. The environments are a huge part of the visual package as well, and they’re pretty nice to look at. The new set pieces are some of the best. In particular, the M.S. Prima Vista is one of my favorites in the game, beaten only by the lunar level. These levels are at their best when they are open and rife with things to destroy and interact with. The worst of the bunch are levels such as Pandemonium, but that is mostly do to gameplay issues. 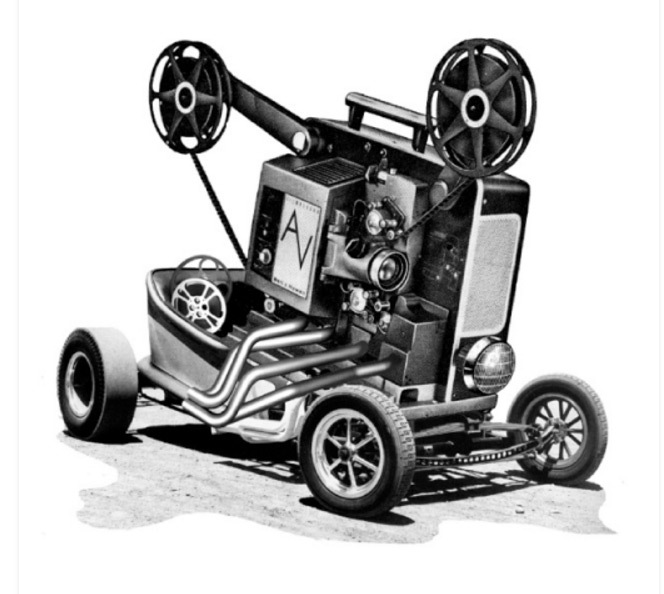 Lastly, we have the visual effects, and they’re downright some of the best on the platform. Characters use all sorts of attacks in this game. Terra summons tornadoes, Cloud shoots fireballs, lightning bolts strike at random as Kefka dances in glee, Golbez uses lasers, Laguna fires bullets, and so forth. There are so many different things going on, and they all look good. More importantly, they all look like something you wouldn’t want to get hit with, thus making the visual package an essential part of the experience. While it may not be as impressive as some other games on the PSP, Dissidia 012 is still well ahead of the pack. Just like last time, I’ll get this out of the way: the music in this game flat out rocks. There are over a hundred tracks on the UMD, which cover original tunes from all thirteen games, remixed versions of various classics, and several themes unique to Dissidia. If you like video game music, you’ll love just about everything here. The best part is that just about every song is perfect for the countless battles you’ll fight. When you’re face to face with Sephiroth and One Winged Angel starts playing, it just feels right. Likewise, the effects are typical Square-Enix fare here. In fact, many of the sounds are the same as you’ll find in any Final Fantasy or Kingdom Hearts title. This is especially true when navigating menus. Battles sounds are pretty good as well, making the overall audio package looking to be pretty good right? You see, the voice acting is as problematic. Many of the characters come off as annoying and/or just plain bad. Sure, the awful dialogue doesn’t do the voice actors any favors, but I’m not willing to let everything pass because of that. I will say that there are some standouts among the bunch. I love Kefka’s voice, and I never had a problem with Gabranth, Warrior of Light, or Golbez. When you throw characters like Squall, Cloud and Terra into the bunch, however, it starts to go downhill fast. The score for audio is still going to end up on the high end. Just know that it could have been near perfect if not for the continued poor voice acting that Square titles tend to have. What we have here is a simple case of a game making some minor tweaks and calling it a day. I’ll go over the basics real quick, and then let you know what has changed. So, battles are all about stealing BRV in order to damage HP. You see, performing a BRV attack will lower you opponent’s total and raise your own. When you use an HP attack, the damage you do will equal your BRV total. Each combatant has a base BRV amount. When they land an HP attack, their BRV resets to zero and climbs back up to this base amount. The higher their BRV was when the landed the attack, they longer it takes to reset. This is important because if your BRV gets knocked below zero, you enter “break”Â status. In this mode, you can’t inflict either HP or BRV damage, and thus you’re very vulnerable. Also, there is neutral amount of “stage BRV”Â that is rewarded to the player who puts their opponent into break status. Basically, you want this BRV, and you don’t want your opponent to have it. Battles are in 3D, and as such, you need a variety of movement options at your disposal. The right shoulder button is your friend here. Tapping it with triangle button sends you rocketing towards (or away from, depending on how you set things up) your opponent. Tapping it with the X button allow you to perform a dodge. Tapping it with the square button uses your summon, unless you have an auto-summon of course. There are also plenty of places on each map where you can use “quickmoves”Â. These allow you to run up walls, slide on rails, etc. These are great for getting away from an opponent/moving to a more advantageous area. You have a basic camera that allows you to lock on to your target, thus allowing you to not lose them in the craziness. The first major change to the game is to the EX gauge. It still fills up the same way: you can collect EX cores that appear from time to time on the field, and also gather blue specks that fly off as you battle. However, when the gauge is filled, you now have two options on how to use it. Firstly, you can enter EX Mode, where you regenerate some health, land critical hits like crazy, and usually get one or two extra bonuses depending on what character you use, such as extra or extended attacks. If you land an HP attack while in this mode, you can then perform a burst attack. Basically, you perform a little QTE, and then lay on the hurt with a devastating attack that will likely come close to ending the fight if it doesn’t end it altogether. The other way you can use it is new. It’s called “EX Revenge”Â and replaces a mechanic from the last game. In the last game, you could cancel out an opponent’s attack by entering EX Mode. Here, you still cancel out the attack, but rather than enter the mode, you instead freeze time for a while. This will give you time to plan and land whatever blow you wish, and your helpless foe can’t block or dodge. This can be just as devastating as your ultimate attack. The other new change is the addition of the assist gauge. As you perform BRV attacks, you fill this meter up, which has two bars. Using one bar allows you to call forth an assist character, who will perform a BRV attack on your opponent, while two bars will use an HP attack. This is cool enough, but there are other bonuses. If you land an assist attack on an opponent who is in EX Mode, they drop out of it. Also, you can use an assist to break out of an attack. The assist gauge has two downsides, though. Firstly, the meter slowly drains when you’re inactive, meaning it punishes those who don’t use it. Secondly, the assist character can be attacked as well. If they get hit, the gauge is locked and you can’t build it up for a while. Still, it ends up being just one more thing to contemplate on the battlefield, and adds to the depth. For the most part this battle system works and makes for a compelling game experience. You can chose to play tug of war with your BRV points, chip away at your opponent’s health, strategically use summons, assists, and the EX meter, and other things. There are things like wall rush, which deals extra damage if you slam your opponent against something when you land an attack, and chase, which allows you to follow up an attack with a little minigame where you pick either an HP or BRV attack, and your opponent tries to guess which and dodges appropriately. If they dodge, they get to attack you, and you get to try to dodge. It’s an interesting component. There are some major issues though. For starters, the camera is pretty bad. Any time you’re in cramped corridors, the camera goes nuts, often giving you no view of what’s going on. Other times, the lock-on mechanic can screw you over. For example, I was locked on to an opponent who was flying directly overhead of me and needed to run up a wall in order to avoid falling into a pit. (Falling into a pit drains BRV). However, thanks to the odd camera angle, every time I’d run up the wall, I’d fall right back off. Then, I’d try getting rid of the lock-on, but your ability to move freely without a target is awful, and you can’t manipulate the camera during times like these, so it doesn’t work out well. Anytime you’re not locked on, the game is nearly unplayable. The best way to avoid this problem is to avoid tight corridors or sections where you easily fall into a pit. When you do that, the game is much more manageable. There are two things that, in my opinion make up for these shortcomings. The first is character customization. You can select equipment, accessories, summons, and assists for your character to equip. You can also customize your abilities any way you like by changing up attacks, adding bonuses like speed boosts, and so on. You get these as you level up (because this is a Square Enix game after all) and you can equip them to your liking, providing the equip cost doesn’t exceed your total. Abilities earn experience when they’re equipped and leveling them up will reduce the cost to equip them. Also, some abilities unlock new ones when they’re leveled up, or gain a new feature. For example, Firion has several BRV attacks that, when leveled up, unlock the ability to chain an HP attack when you hit with them. That kind of thing is invaluable. Between the experience, money, and bonus points you earn each battle, there’s a lot going on. And that’s before I mention battlegen, which allows you to create items by performing certain actions during battle. The second thing that makes this game awesome is the sheer character diversity. You can and will find the perfect character for you in the game’s roster of thirty. There are magic casters, brute force guys, rush down guys, keep away guys, jack-of-all-trade guys, and specialized guys. 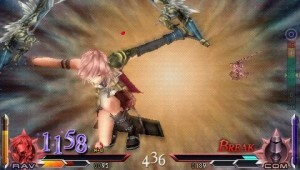 For example, Squall is a mid range fighter who uses magic to set up brutal physical combos, Emperor uses traps and tracking attacks to keep opponents away from him and on their toes at all times, Shantotto chains her HP attacks together, Gabranth can only use HP attacks in EX Mode, but can charge up his meter at will, Lightning can change jobs on the fly and give herself a new attacks for any situation, and each character is like this. You really can’t play any two character the same, and when you add in the customization aspects, it really pays off. Overall, the game is pretty darn fun to play, despite some major flaws. At the same time, the game is one of those “you either love it or you hate it”Â kinds of games, meaning it isn’t for everyone. I find the combat to be deep and rewarding for those that master it, and the customization to be extremely addicting. 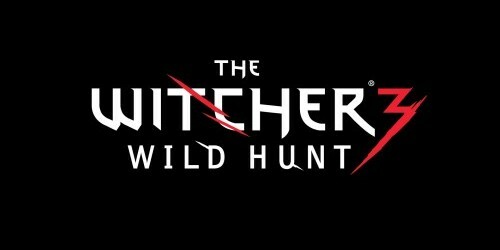 If the controls/camera were better, I can see this being one of the best games out there. As it is, you have to take the bad to enjoy the good. I gave the previous game a perfect score for replay value, but in a way, I wish I could go back and lower it so that when I do the same here, it would have more meaning. On top of the all new story mode, this game includes all of the story content from the previous game. It also includes battle reports that you unlock as you play. 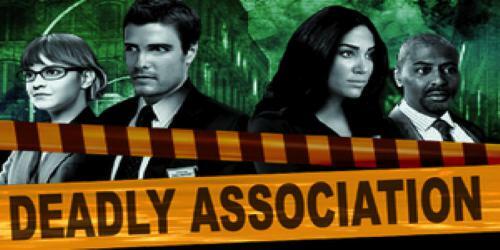 These illuminate you as to the goings on of the characters that aren’t the focal point of the new story. (How did Cloud end up on Cosmos’s side, for example.) You might think including the other story is a cheap cop out, but thanks to a complete makeover in how these elements play out, it doesn’t feel too similar. Besides, you can always skip the story sequences and simply enjoy playing through the dungeons. If you go back into the story/modes section of this review, I kind of glossed over all of the modes in this game. That is because there is a ton of stuff to go through. I’ve already spent more time on this game then I did on the previous Dissidia, and I haven’t even attempted the big bonus story or even leveled more than one character over level sixty. There’s just that much to do. If you get into creating your own quests and editing videos, this game gets even more nuts. Then, you always have battling friends via ad-hoc to mess around with. You can exchange friend cards and earn bonuses here as well. 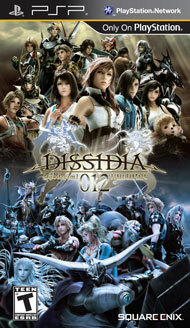 Simply put, no PSP game offers as much content as Dissidia 012. You will get your money’s worth here. Yet another strong point for this game, as I find it to be very balanced. Like last time, you can and will beat guys who are higher level than you. You can and will lose to those with a lower level. The game has a pretty nice difficulty curve. By the time you get to later story lines, you might be shocked to find your level one character up against level eight characters off of the bat. When you think about it, it makes sense, as by then, you’ll have unlocked plenty of equipment and accessories. Your guy would slaughter a fellow level one character, and the game knows this. Also, as your enemies get higher in level, they start to play smarter. They dodge and parry attacks, use better summons, and aren’t afraid to take some risks. They also become better equipped. In many cases, it becomes important to view what they have before each battle, as some enemies have accessories that do things like greatly increase their attack power when they are at full health, which makes it imperative for you to get off an early strike. Balance among characters is a hard thing to manage, but for the most part, this game does all right. Through equipment, knowledge of your surroundings, and proper customization, there is no reason you can’t win against anybody. A couple rules of thumb: beware of Jecht’s rush down and make sure to keep your wits about you when the Emperor is throwing fireballs all over the place. Use your brain and plan ahead. Simply do that, and you can come out on top. I can’t ask more from any game, let alone a fighter/RPG hybrid. This is prequel to a game that’s two years old. While no other game like Dissidia has come out since, that doesn’t preclude this game from feeling derivative. For starters, the big new extras are the assist gauge and the story creator. The assist gauge is pretty much like anything you’ll find in a lot of fighters, but tooled for Dissidia’s style. Just look at any Marvel vs Capcom game and you’ll see what I mean. The story creator is very similar to what was offered in the past two SVR games, so I can’t give it point there either. The few points I gave to the first Dissidia for originality were mostly due to its uniqueness. This being another entry in the series, it can’t get those same points. Such is life. I’ve long argued that originality isn’t that important for a reason. I’d rather have a good game than an original one any day. What was true for Dissidia is true here. When a game rewards you for playing it as well as Dissidia does, it becomes hard to put down. For starters, each battle gives you experience, ability points, money, and bonus points. All of these go towards customizing your character and unlocking new content. Experience levels your character, unlocking new abilities and raising their stats. Also, some equipment can’t be used until you reach the appropriate level. Ability points level your various attacks and buffs. When these get mastered, they cost less to equip, opening up more room for more abilities. Also, some of them add bonuses when they level, such as the speed boost buff. When you master one, you unlock a better one. Money, known as gil, is used in the shops to buy new equipment and accessories. I don’t have to explain that one. Bonus points, going as PP, are used to unlock various items such as new character, maps, alternate attires, player icons, music, and even a mode or two. Also, you have a play plan and a calendar feature that are nifty additions. With a play plan, you move along a path as you fight battles. At certain points, you’ll earn bonuses such as experience multipliers and exclusive treasures. 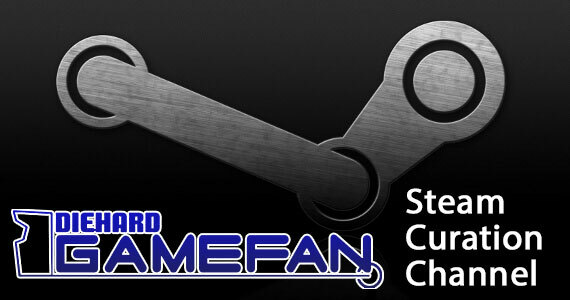 There are five different play plans to chose from, and each offers different rewards. The calendar lets you pick a day as your bonus day. All of those things you get for winning battles are subject to a multiplier on this day, and you get discounts at the shop. In addition, you can upgrade this calendar so that you get even more bonuses on even more days. I’d recommend upgrading this thing ASAP, as it makes the whole experience more rewarding. I said before that I got more time out of this game then the previous entry. I should also mention that I did that in roughly half the time. This is a game that can sit in your PSP for months without you running out of things to do, which is a great reason to keep going. One big factor going into this is that the PSP release schedule for 2011 is puny at best. 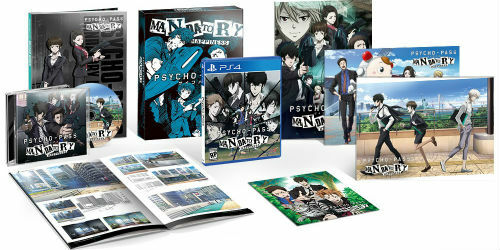 This is easily the biggest release we’re going to get before the NGP. 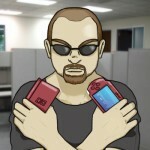 Anyone who still buys and plays PSP games is probably going to get this. For Square fans, this is pretty much a must buy. There are plenty of fun little nuggets that only the most diehard of FF fans are going to get, as well as plenty of content to fool around with. The story creator is a nice touch that is sure to garner some attention. Finally, there’s the price point. At thirty dollars, this game is actually a budget release for the PSP, and is roughly the same price as your standard DS game. For the sheer amount of quality and quantity on this UMD, that is a small price to pay. I’d recommend this to anyone with a PSP, excepting those who played the first game and didn’t like it for whatever reason. I’ve already gone on at length about all of the bonuses this game offers. There’s the museum, which allows you to listen to over a hundred music tracks at your leisure, the community features (video/story creator), the diversity and complexity of characters, and other such things. There really isn’t much left to talk about. The game offers a lot. One thing I did forget to mention is how the story mode works. I suppose I’ll go into that here, because the appropriate section is full up already. You have an overworld that you can traverse. 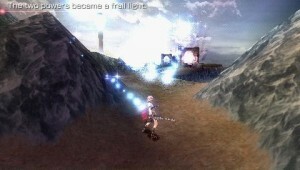 You find treasure, engage enemies, and overall, it basically functions like FFXIII. When you find gateways, you can enter them, and the game switches back the chess board format from the first game. The only difference here is that one of you side objectives is to chain fights together to earn KP. KP can be spent at Moogle shops in the overworld to unlock exclusive items, including plenty of awesome summons. This is a lot better than the reward system in the previous game. However, this will require some backtracking if you want to get everything. I’d say it is an improvement, but not by much. So, the game is basically Dissidia 1.5. However, it has enough sheer content and just enough new to make it worth the buy anyway. If you liked the last game, you should already have this. Dissidia 012 may not be a proper sequel in the truest of forms, but it still manages to surpass its predecessor in all the ways that matter. Sure, the story is still pretty lame, and the graphics haven’t improved much. However, the gameplay has been tightened while also expanded, the playable roster has been increased by nearly fifty percent, and the game is as rewarding and fun as before. At the discount price of only thirty dollars, this is a hard game for anyone to resist, and I can wholly recommend it. It was a long time ago I was a Square fan since Nomura has screwed up the whole company. Still, I like fighting games and I love customisation. On the other hand it’ll most likely cost 60-90 dollars here in sweden. Would it really be worth that much? If you can, download the demo. If you enjoy the combat system, then the game will be worth it. There is a ton of content on the disc and it figures to be the most I’ve played a single PSP game in years. Hmm, I’ll have to check that out. I had more or less forgot about the existence of demos. Thanks. 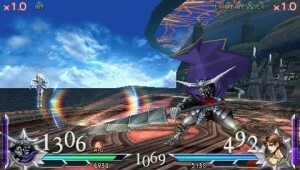 Come to think of it, the Dissidia 012 demo is a stupid paid preview thing. See if you can find the demo for the first game, as most of the mechanics are the same. The sequel tweaked some things and added assists, but it doesn’t feel too different. Yeah, don’t buy Prologus unless you want to pay an extra $3 for Aerith as an assist character. It doesn’t give you anything gameplay-wise that you can’t find in the demo for the original. There is an extra scenario included, but it doesn’t offer much in the way of plot and it can be cleared in less than an hour.